To go, — so with his memory they brim! 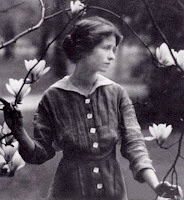 If you’re going to be born a poet, what better name to have than Edna St.Vincent Millay?!? Classic and obvious in its meaning, this poem is beautiful because of its profound commentary on absence as paradox.